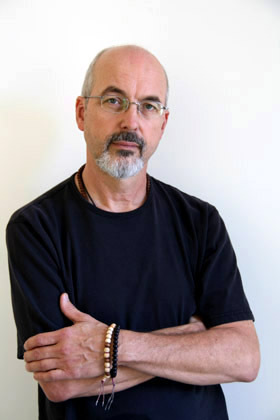 Bill Viola is a major contemporary video artist. He was born in 1951 in New York and went to the Syracuse University, where he studied Fine Arts. Internationally known and considered as a great artist, Bill Viola has worked for different big events and companies, such as Sony Corporation, the California Institute of Arts and the Getty Research Institute. Lots of his works were awarded and exhibited in great museums all around the world. Viola was also elected to the American Academy of Arts and Sciences in 2000 and more recently, he was titled doctor honoraris at the University of Liège. His works deal most of the time with themes of human experience like birth, death, dream, water, fire... He uses music, sounds and images to explore and express different feelings and emotions. His art is also largely influenced by Buddhism, Christian mysticism and Islamic Sufism. A recurrent characteristic in Viola's works is the dualism, namely the idea that you can't understand something if you don't know its opposite. 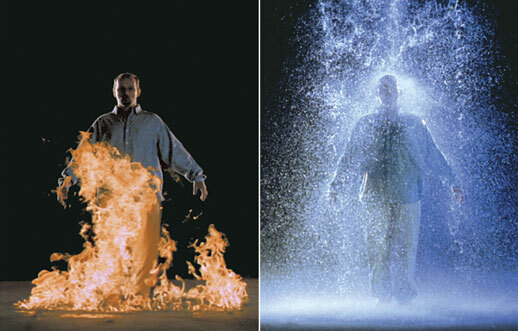 Bill Viola often uses techniques of ultra-slow motion, time-lapses and duration to give metaphorical significance. Duri ng his life, Bill Viola created more than 150 videos and became one of the greatest representatives of this kind of contemporary art. Among his works, some are considered as masterpieces. Observance, for example is a remarkable work of Viola, which is a kind of response to the terrorist attacks that took place in New York in September 2001. Another great piece of the artist is called The Quintet series and shows every detail of 5 characters’ expressions thanks to the slow-motion technique. An Ocean Without a Shore is a work dating from 2007 and exposed in the Italian Church of San Gallo. The viewer enters a darkened room where he faces three large screens representing people moving slowly in the foreground whereas the background is entirely black. They basically come from the darkness and move progressively near the light, which is supposed to illustrate the crossing between life and death. On their way they have to go across a wall made of water and light so as to come into the real, physical world. Water actually comes from their own bodies as if they were human waterfalls and the whole process symbolizes their rebirth. At last they realize that their existence in the real world is limited and that they have to go back to where they come from. Catherine’s room, presented in 2001 is part of Bill Viola’s larger project called “The Passions”, analyzing human emotions. It was inspired by the 14th Century predella by Andrea di Bartolo, a predella being a number of little narrative pictures painted right below the main panel representing larger figures of Saints. 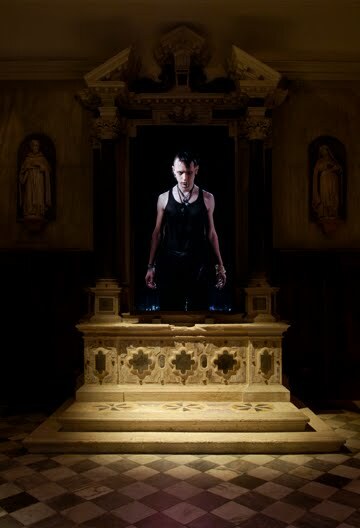 Bill Viola’ work of art consists of five scenes depicting the everyday activities of St Catherine from the morning, through the afternoon, sunset, evening, to the night. We can also notice a tree outside represented at different periods of its annual cycle, giving St Catherine’s daily tasks a universal natural dimension.